Award-winning accounting professor Farrell Gean remembers his outstanding college baseball and basketball career. "We were one pitch from going home, in the second game of a double- elimination tournament at the bottom of the ninth inning, and we were trailing 3 to 0. There were two outs and nobody on base. The two batters before me got on base...and I hit a triple knocking them in to score...then I scored, we scored again, and won the game 4 to 3." 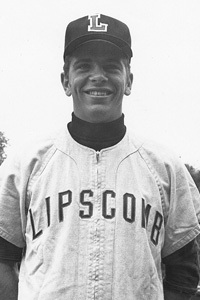 This spring Gean returned to nashville to throw out the first pitch of a game at Lipscomb to mark the 40th anniversary of that “miraculous” debut year in the World Series, and this fall he will be inducted into their Athletics Hall of Fame for his impressive place in their athletic history. The year before the World Series game he had set a number of school baseball records, including four batting records in his sophomore year and hitting two grand slams in his junior year; he was the last athlete at Lipscomb to letter all four years in two sports. 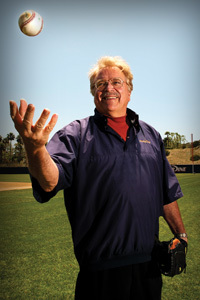 But while he is thrilled to be honored in the Hall of Fame and looks back on his college days with many fond memories and just a touch of wistfulness, Gean has had 40 years of triumphing at everything he sets his strong arm to, including hitting his 30-year anniversary at Pepperdine this year. Foregoing an attempt at a pro-baseball career—he confesses he was exhausted after four years of baseball, basketball, and the honors system—Gean listened to the advice of a professor who believed in his academic potential. He jumped right into earning his MBA and PhD in accounting from Georgia State University, and charged ahead with his financial and academic career with the same gusto he gave to college sports. 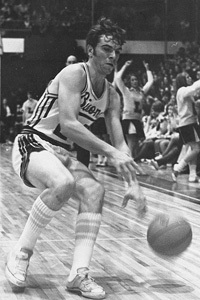 Among his many post-athletic accomplishments, Gean designed the curriculum for the bachelor’s degree in accounting at Seaver College in the early 1980s and was recognized as the Harriet and Charles Luckman Distinguished Teaching Fellow at Pepperdine from 1992 to 1997; his consulting career has included a number of notable clients, including the Baron Edmund de Rothschild; and in recent years, golf has taken over as his sport of choice and he recently achieved a hole-in-one at a charity tournament in Moorpark, California, winning a Rolex in the process. “I’m an avid golfer these days,” says Gean, clearly thrilled to be competing in a sport again. After all, for the first two decades of his life, he lived and breathed his first and second loves— baseball and basketball (in first place today is his wife of 16 years, Virginia, who is also an adjunct professor of managerial accounting). Growing up in western Tennessee, his father pitched to him in their backyard, and got him started in the Little League and the Babe Ruth American Legion. His high school had a strong baseball program and although he always shined brightest on the diamond, he actually received a basketball scholarship to Lipscomb and worked hard to excel in both the sports and his studies. That unstoppable drive is helping him balance his two current projects: establishing a master’s degree program in accounting at Seaver College and finishing two books he is working on. One is a collection of nonfiction stories from Christian CEOs about incorporating spirituality into making business decisions, while the other, Unfair Ways, is a golf-themed mystery novel with an ethics-in-accounting component that can be integrated into the classroom “to bring some life to otherwise fairly sterile concepts,” he says. As for the issue of any rivalry between Gean’s two Churches of Christ-affiliated schools, he says he loves both equally and differently, being proud of both his athletic heritage at Lipscomb and his academic career at Pepperdine. The key to building such a full and accomplished resume, he adds, is to be grateful for your successes and never allow yourself a fear of failure. “It’s important to remember to thank your creator for giving you your talents,” he says. “Besides, I always liked to win! I think you should always want to do more, to win more."